Think of Around the Rim as your local politicians would like for you to think of a town hall, a safe forum for all voices in the basketball universe to be heard. A stable roundtable, fluctuating in both voices and trendy issues. We’ve had over 250 unique contributors working at any and every outlet you can think of living all across the globe. The draft has come and gone. What was the best pick no one is talking about? Creighton: Donte DiVincenzo, who went to the Bucks at 17. Milwaukee adds a shooter who not only has some big stage experience but played his best basketball on the biggest stage in the NCAA Championship game vs Michigan where he dropped 31. He’s shown athleticism, shooting range, ability to get in the lane to draw fouls. He’ll help spread the floor for Giannis. He certainly doesn’t lack confidence at all. He’s a guy who can be a starter and a legit option for the Bucks. Grenham: This year’s draft had a lot of talented prospects going in the mid-late first round. Guys like Lonnie Walker, Donte DiVincenzo and Robert Williams are all players who can come in and make an impact right away. However, these picks are getting a lot of attention, and rightfully so. In terms of selections that no one is talking about, a few come to mind. Jalen Brunson went 33rd overall to the Dallas Mavericks and will serve as a perfect backup to Dennis Smith Jr. Brunson is as composed and mature as any prospect in this draft class, and his tremendous post-game gives him a unique skillset. He should be very effective off the bench for Rick Carlisle. Creighton’s Khyri Thomas is a first-round talent who fell to the Detroit Pistons at No. 38. He’s a great perimeter defender and can plug into an NBA offense immediately. Honorable mention: Keita Bates-Diop, Vince Edwards, Bruce Brown Jr.
Kaplan: Lonnie Walker IV to the Spurs. Combine his pure athleticism with the Spurs system and I think there is serious upside there. His injury in his freshman year may have allowed him to slide further than he should have. If he and Dejounte Murray can develop a chemistry early on that could be the beginning of the future of the post-Kawhi Spurs. Wong: Robert Williams 27th to Boston. Danny Ainge continues to get the job done at the draft. Sure, there are questions about health and passion for the game, but when it comes to talent, Williams is right up there in this draft class. Draft evaluators say he may be the next Clint Capela, but even if he’s the next Stromile Swift, it’s not the worst thing in the world. I think playing for a coach like Brad Stevens and playing for an organization that has their stuff together is what Williams needs to succeed at the next level. Rende: The Memphis Grizzlies might not win 50 games this year, but they ended up doing very well in the draft. Nearly everyone can appreciate the upside and modern skill set of Jaren Jackson Jr., but the underappreciated pick on Thursday was Jevon Carter at 32. Getting a defensive hound that can initiate some of the offense is a plus so late in the draft. The obvious weakness is his short stature. At 6’1 he’s going to have a capped upside, but his intensity and shooting ability (39.3 percent from three) should allow for him to be a strong backup in the league for a long time. Based on where guys winded up, whose development are you most worried about and whose development are you least worried about (in other words, worst and best fit with their new teams)? Wong: I’m most worried about Troy Brown in Washington. When your own GM isn’t sure that you’ll be able crack the rotation next season, it’s not a good sign. 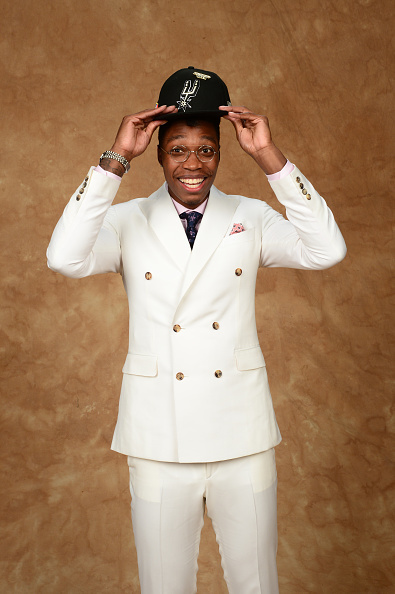 There were other guys on the board (Lonnie Walker IV and Zhaire Smith to name a few) that you would think would have had a better chance to make an immediate impact with the Wizards next year. Brown will probably be a good player down the road, but he might be a human victory cigar on most nights next season. I’m least worried about Luka Doncic. This is an obvious one, but getting an opportunity to have Dirk Nowitzki take you under his wing is about as good as it gets for one of the best European prospects ever. I think Doncic would have been just fine if he was in Arizona or Sacramento, but I believe learning under Dirk will accelerate his progress even faster. 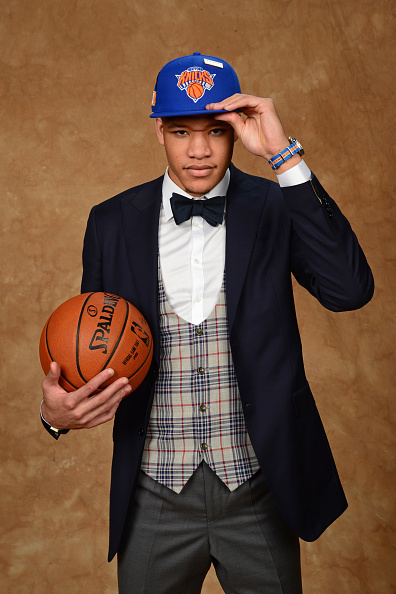 Creighton: Knox is a guy that is going to be watched very carefully by the New York media since the team passed on Michael Porter Jr. to select him, much to the chagrin of New York fans at the draft. Fans have been wrong before (see Kristaps Porzingis) but the Knicks don’t have a great track record with drafting. Knox can put it in the basket, but how fast he develops will go a long way to shutting down the constant “but they could have had Porter” comparisons that will inevitably come. By contrast, Porter is the guy who I have no worries about developing right now. In fact, he may not even be ready to play when the seasons tarts, and it doesn’t matter. Perception is that Denver basically stole an elite level talent and if he has to sit part of a year or even a whole year (a la Ben Simmons) that it’s no big deal. Denver is playing with house money for landing him at 14, and patience will be plentiful with Porter as a result. 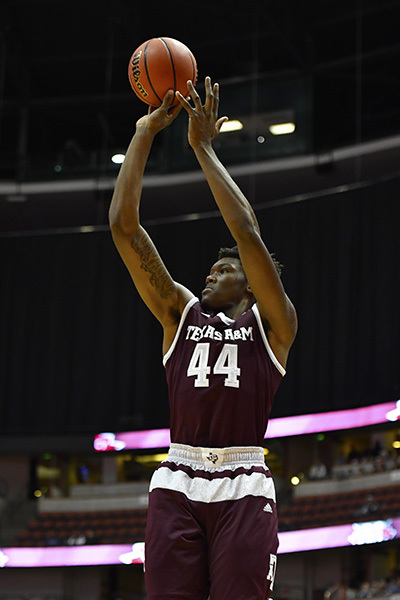 Grenham: Robert Williams III sticks out to me as the best fit. Williams is a player who’s had some issues with work ethic and discipline over the past few years. The 6-10 forward is extremely athletic and can play above the rim, so his skill has never been in question. Due to some questions with his medicals and motor, he fell to the Boston Celtics at No. 27. If any organization can get his head on straight, it’s Danny Ainge, Brad Stevens, and the Celtics. 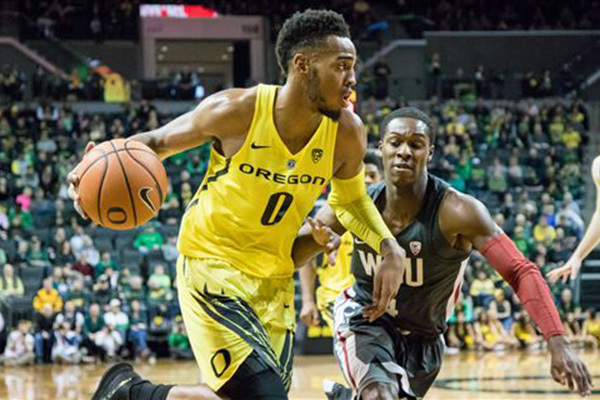 I’m most worried about Troy Brown Jr. in Washington. The Oregon guard has a strong frame and is a great perimeter defender, but he’ll need work on his offensive touch. He has the ability to blossom into an effective wing, but Washington’s history of developing young players isn’t exactly perfect, which leads to my concern. Kaplan: Most worried about Marvin Bagley III because of the Kings recent track record. It hasn’t given us much hope for developing young players. However, this could be the start of them turning over a new leaf. Luca Doncic to the Mavs has to be the best fit. Rick Carlisle’s philosophy and Doncic’s playing style will be a great pairing. Also, I think Doncic and Dennis Smith Jr. will complement each other well. They make up for each other’s weaknesses—Smith with athleticism and Doncic with his high basketball IQ. Rende: I was an ardent supporter of the Sacramento Kings effort to infuse veterans into the locker room last summer in order to create a stronger culture. Vince Carter may have done some good for the youngsters, but George Hill was shipped out halfway through the year for Iman Shumpert’s bad contract and a second round pick. 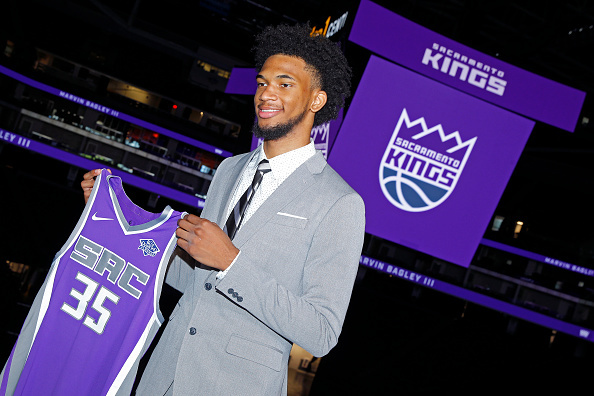 The team’s effort didn’t seem to reap many rewards, and that proved evident during the draft process as prospects were shy in sharing medical records with the organization, eventually leaving Marvin Bagley as the lone player that wanted to be in Sacramento. ESPN’s Jonathan Givony shared that it may have had more to do with Bagley’s desire of being a top pick than his intrigue in the franchise. Regardless, he’ll now have to figure out a way to crack the big-heavy rotation or else be shoehorned into playing some at small forward. Environment might not matter to anyone as much as it does for Trae Young. The 19-year-old needed to be unleashed in a spacious offensive system that would allow him the freedom to make mistakes and launch from deep. The Atlanta Hawks seem to be cultivating a culture that accepts these principles as essential to their path going forward. Young may have to deal with Dennis Schroder, but reports have been swirling that the team is looking to unload him to another point guard hungry team. Even if he remains on the roster, Lloyd Pierce should be able to cobble lineups that work with both of them involved. The core of John Collins, Taurean Prince, and Kevin Huerter seem like exciting complementary pieces to slot along Young for the future. The NBA world now turns to free agency and LeBron James’ big decision. Regardless of where he goes, can you envision a scenario where the Warriors aren’t back on top again next year? Rende: Absolutely. The likelihood this happens is very small, but it’s absolutely plausible to view the Warriors as second place finishers next year. The only four realistic situations that could present a challenge to Golden State are the Philadelphia 76ers, Boston Celtics, Houston Rockets and Los Angeles Lakers. These teams would need to acquire one of Kawhi Leonard, LeBron James or Paul George to be viewed as favorites to overthrow the champs, and the Celtics would really just need health from their stars to make an upset a conversation. 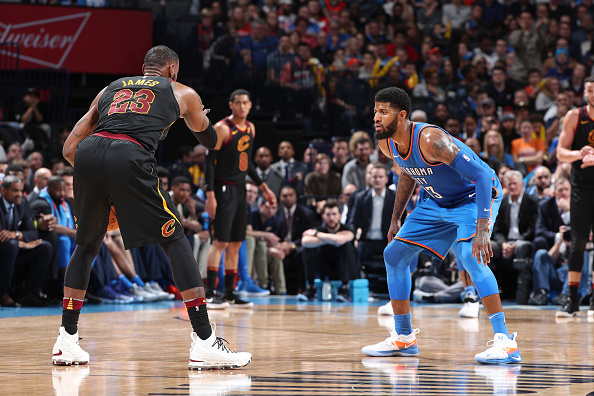 The wear and tear of four straight NBA Finals appearances will eventually show, and the proper combination of stars can certainly be the final punch to knock out this super team. Wong: No. After watching the Warriors win it all this year in a season where they were ripe for the picking, I’m expecting them to come back next season hungrier and more focused. They’ll have decisions to make on rotation players, but as long as the “Core 4” are there, it won’t matter who’s playing behind them. This team just has an extra gear that no other team in the League has. Unless LeBron gets together with Chris Paul and James Harden or finds a way to play with Kawhi Leonard and another star, we’ll see another banner raised at Oracle Arena in 2019. Creighton: The Warriors were one Chris Paul hamstring pull from going home in the Western Conference Finals. 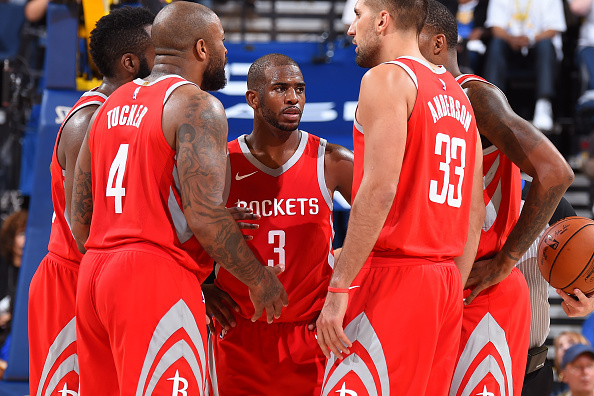 The Rockets were the only real threat to Golden State, and we know even if the Warriors are without Kevin Durant or Steph Curry for a while, they are still not being challenged by anyone but the Rockets as far as how teams are currently constituted. That said, If LeBron stays in Cleveland, he’s going to need the Celtics to be down their top 2 players at playoff time to get back to the Finals, and if he goes to the Lakers, they still aren’t better than either Golden State or Houston. The Rockets needed an MVP season from James Harden and incredible development from Clint Capela to be on the Warriors level. Can they put the band back together? Can they get another piece? Can they get the same consistent level or production from the roster top to bottom? 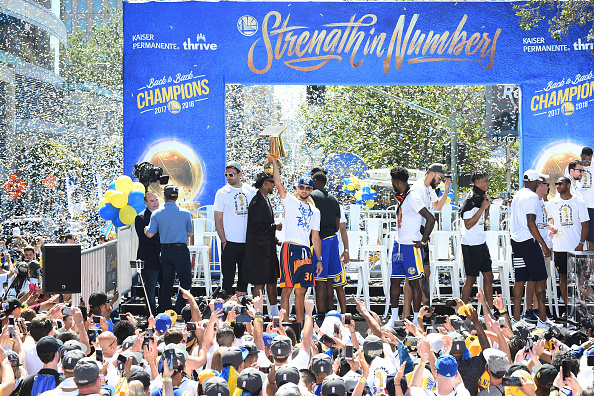 The answer to all three of those questions has to be yes in order for the Warriors to not be raising the Larry O’Brien trophy after next season. Grenham: In short—no, I can’t. Even if LeBron were to end up in Philadelphia or Houston, I still don’t see anyone being able to take down Golden State. Obviously, Houston would present the best chance to dethrone the Warriors, but they would still come up short. The Warriors will be on top next year once again, no matter where LeBron ends up. In my opinion, the Lakers give LeBron the best opportunity to be “on top” across the next five years. Kaplan: I wish I could say that i thought the Thunder would be a threat to Golden State next season but with their free agency and cap space woes it’s not looking optimistic at this point. 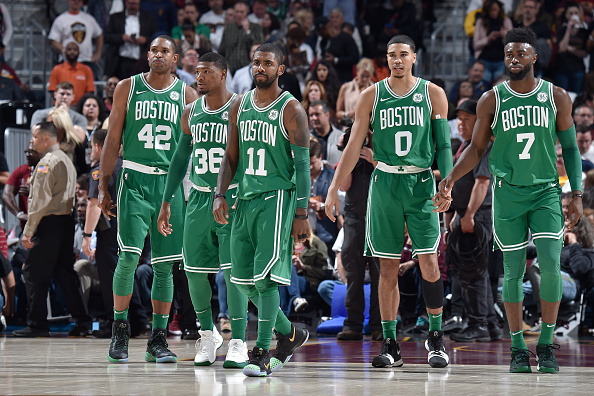 However, The Celtics were real contenders this year and that was without their two best players, Kyrie Irving and Gordon Hayward. With those two healthy and Brad Stevens at the helm, I think they are championship contenders. Also, the Warriors are always one injury away from it being anyone’s game. I’ll be paying close attention to what the Rockets do in the offseason as well. The Philadelphia 76ers have finally positioned themselves to be a player this offseason. In their dream scenario, where they snag the big fish, who is the best fit for them? Paul George, Kawhi Leonard or LeBron James? Kaplan: LeBron James is the best fit for any team, he’s the best player in the League. He can fit in seamlessly and immediately make them title contenders. At this point the Sixers are one key player away from making a real run in the playoffs. If they can acquire LeBron, the championship level talent and experience will be there and the rest will fall into place. Rende: Best player? LeBron James. Best fit? Kawhi Leonard. It may be a bit of a hot take to say that James isn’t the better fit, but it seems like too much of a square peg in a round hole to get him to work with Ben Simmons. 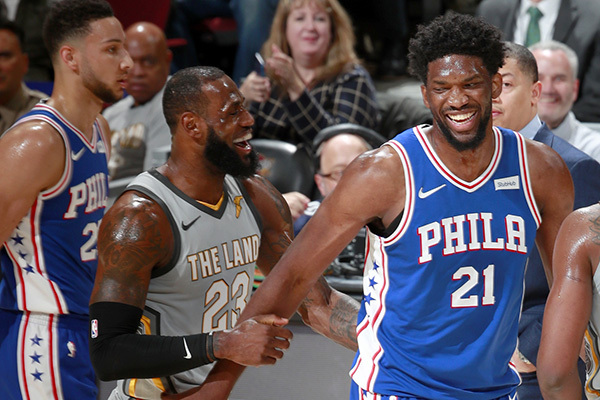 I’m sure it would flow over time and the 76ers would craft a system that would make them a superior team, but that would give credibility to the idea that James isn’t truly the most natural fit with this squad. Leonard has improved his ball handling, but he doesn’t necessarily have to be the primary creator to be at his best. He can space the floor and come off a variety of actions to get the looks he is accustomed to. An incredibly hyped up version of what Dario Saric does would allow the 76ers to add variety to the offense that got stagnant in it’s reliance of transition looks and J.J. Redick off-ball screens. The playoffs showed that you need players that can play both sides of the ball and shoot the three at elite levels, Leonard can do both a bit better than George. 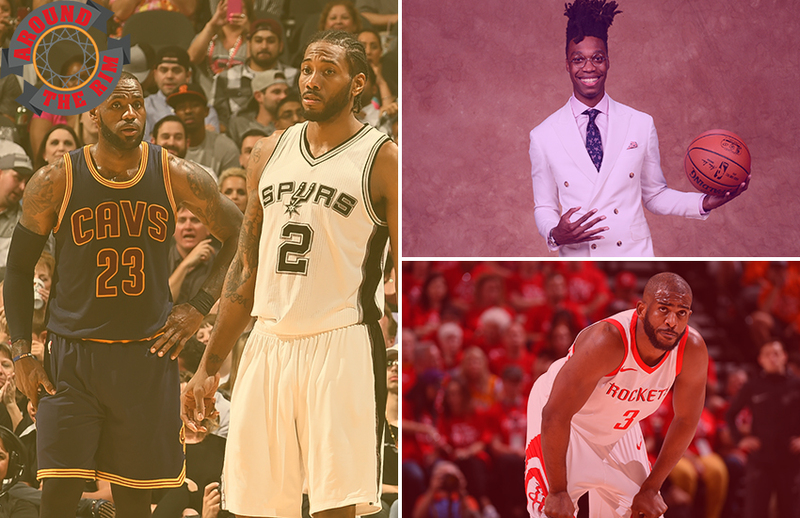 Wong: Maybe it’s the contrarian in me, but I’m going with Kawhi Leonard over LeBron James and Paul George. Great players always find a way to play alongside other great players, but I do have concerns about Ben Simmons’ ability to play with LeBron because of his inability to take and make the outside shot. Leonard would a better fit because his game can still allow Ben Simmons to be the primary ballhandler when the two are on the court. His defense is still elite, and he’s also the youngest of the three. The quad injury does worry me some, but the pros of Leonard in Philly outweigh the cons. Creighton: Realistically the best fit is Kawhi, but will he stay? Kawhi is the youngest of the three, and has what should be the longest shelf life. LeBron is still the best player in the world, but how long would he stay (he always wants opt-outs) and how long can he continue to be a physical marvel (led League in minutes played at 33, in his 15th year). I don’t have real concerns about Kawhi’s health because I believe he was milking the injury as an excuse not to play for San Antonio and his subsequent trade demand gives even more credence to that theory. Kawhi and Embiid could be the anchors of one of the best teams in the East for the next 5-6 years. He has championship experience (2014 Finals MVP) and is a defensive monster. He should also feel like he has much to prove after playing only 9 games, so there should definitely be a strong motivation factor as well. Grenham: If the Sixers could land Kawhi Leonard this offseason, I think they’d position themselves to be atop the Eastern Conference right alongside the Boston Celtics. 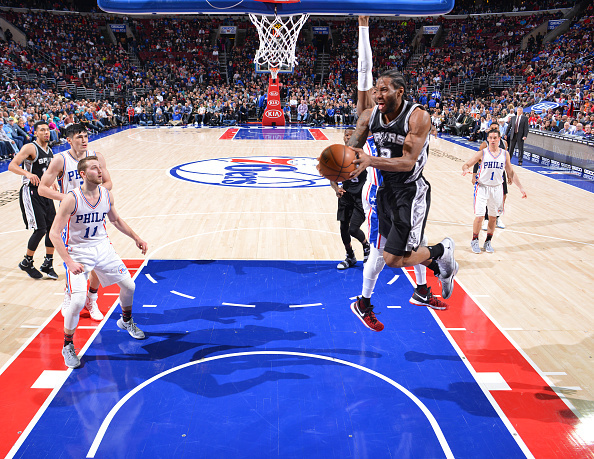 The Sixers struggled at times to defend the perimeter, and Leonard is someone who excels in that category. He’d add another scoring punch to their already solid offensive scheme, and would be a good player to bring into this young locker room. Of course, any of those three players coming to Philadelphia would be a dream scenario for the organization, but Leonard would be ideal in my opinion. 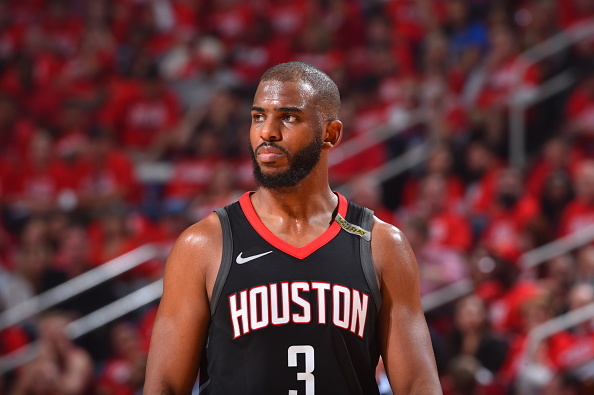 If you’re Daryl Morey and LeBron James coming isn’t possible, do you give Chris Paul the five-year maximum deal and run it back next season, knowing full well the back-end of that deal (when Paul is past 35) isn’t remotely worth it? Or do you cut your losses and look elsewhere this offseason? Grenham: This is a good question that I’m still not sure how to answer. On one hand, you’d most likely be making a trip back to the Western Conference Finals next season if you bring back CP3, but you’re also most likely going to come up short against Golden State. The question ultimately comes down to what Morey values most. Does he want long-term flexibility? Or is he looking to continue to win now and make a run at Golden State. If I’m Morey, I don’t re-sign Paul to that giant deal and I move elsewhere, but I have a feeling he’ll be back in Houston come opening night. Kaplan: The track record of point guards entering in their late 30s hasn’t been great, it would make more sense to offer a two-to-three-year max deal which would retain him for the remainder of his prime. Don’t get me wrong, I think he’s great, but I don’t think he’s worth a five-year max deal at this point in his career and it would handcuff their cap flexibility in the future. 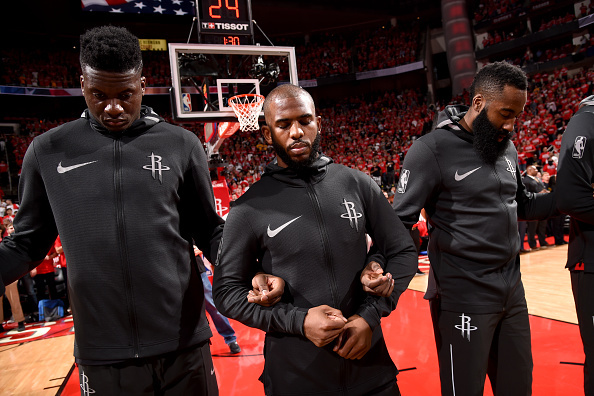 Rende: At the end of the day, I think it is likely that the Houston Rockets and Paul come to an agreement that isn’t a full five-year max contract. You could easily pay him more than anyone on the market if you partially guarantee that last year, giving both parties a deal that satisfies what they want. But the question is meant to push me toward answering the extreme of what plays out, and I lean to the position of offering him the contract. Paul will likely be nowhere near the player he is today by the end of that deal, but the first half of it should net a team that pushes Golden State in the conference. Being the second-best team for a couple of seasons has a lot of benefits, especially when an injury to the top seed is one of the only roadblocks to a championship. Wong: I would bring Chris Paul back. Sure, the contract will be an albatross near the end of it, but I think the Rockets have to keep this ball rolling for as long as they have James Harden in his prime. They were a reasonable shooting night away from advancing to the NBA Finals, so it’d be difficult to not give it another go with a lot of the same parts. Daryl Morey will need to be creative this offseason if he wants to make some big roster improvements, but if there’s any team that can make moves around the margins and have it payoff big time, it’s Houston. Creighton: Morey understands the offseason game can be very different year to year, and no one should underestimate his ability to pull rabbits out of hats. While I’m a firm believer that if LeBron is really in “championship mode” that the only logical choice is for him to opt in with Cleveland and work a trade to Houston. If LeBron isn’t going to Houston, Morey should still pay Paul. Paul’s hamstring strain at the end of Game 5 of the WCF is the only reason the Rockets are not champions of the NBA today. They were far too close to tear it down. They may not get the piece they want this year, but maybe they find another one that complements well, or maybe its a trade during the season, maybe next offseason. One thing that is certain is Daryl Morey will not rest until he unlocks the combination that brings a title to Houston. It remains to be seen if he will even rest then. Morey understands the championship window and the danger of paying an aging point guard with an injury history in the final two years of his deal. That just gives him more urgency to win now. The Rockets will be all in for next season. They’ve passed the point of no return.